GlobalData reports that Nigeria will lead the way in Africa oil and gas investments with US$47.2bn (more than 26 per cent of US$180bn of Capex) during the period 2018 – 2025. 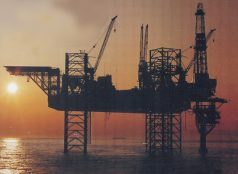 The African country on the Gulf of Guinea has 23 accounted and planned fields, with the top fields in terms of CAPEX being Zabazaba-Etan with US$11.1bn, Bonga North with US$8.4bn and Bonga Southwest/Aparo with US$3.9bn.Africa oil and gas fields to receive over US$180bn investment during 2018 – 2025. According to GlobalData, the 88 upcoming oil and gas projects in Africa will require US$384bn in capex to produce more than 12,356 mmbbl of crude and 178,209 bcf of gas.